For decades, Tansen has been eclipsed by its two more popular neighbours: Pokhara to the northeast and Lumbini to the southwest. But in the last few years, things have begun to change in this small hill town steeped in history and abundant natural beauty. Tansen is seeing more tourists than ever, and it is now slowly emerging out of the shadows of its neighbours. Here are six things you should not miss out on in Tansen. On my first night in Tansen, one of the hotel’s staff told me not to miss out on seeing the town’s famous White Lake. He described the lake as a huge cloud that forms in the mornings, and instructed me to wake up at six am. I was tempted to Google White Lake, but I had vouched to not use the internet during the trip. The next morning, a little after six, I headed to the hotel’s roof and what I saw left me awestruck. The White Lake is this vast mist that blankets the Madi Valley, and it is something you have to see to believe it. As the sun rises higher, the mist slowly starts dissipating, and by 10 in the morning, the White Lake has vanished, like a pleasant illusion. If you are going to stay in a hotel in Tansen, it is most likely going to be in one of the many hotels in the main bazaar, and the best spot for sweeping views of the town, mountains, and hills from the town is Srinagar hill. 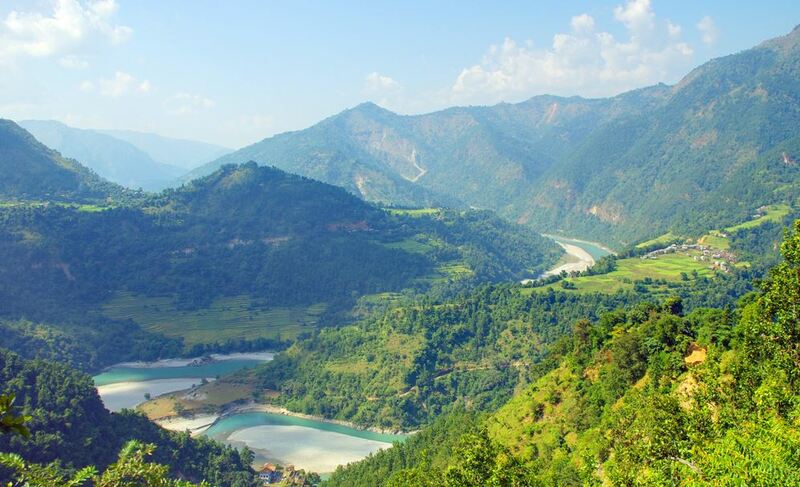 This pine-forested hill sits at an altitude of 1,524m, and on clear days affords views of Annapurna, Dhaulagiri and Langtang. The hill’s height also makes it the perfect place to view the White Lake and Tansen town in its entirety. Popularly dubbed the Taj Mahal of Nepal, Rani Mahal is Tansen’s most famous landmark and the reason many travel to the town. The Mahal is located 13 kms from Tansen Bazaar, but if you are expecting to see a mahal with ancient regal artifacts inside it, you will be disappointed to learn that there’s nothing inside. It’s interiors have remained empty for many years. A local I met at the Mahal told me that many of the artifacts had been plundered many years ago. But the Rani Mahal, which sits on a dramatic hillock by the banks of the Kali Gandaki river, is still worth a visit. When you walk its empty halls, you cannot help but imagine its grandeur of its heyday, and feel a looming sense of loss.